Citizen Digital reports that the man who refers to himself as ‘Grace’, was arrested after he was seduced by a man in a local bar in Mumias area of Kenya. The man who was ready for the game proceeded to book a room but he discovered that he was not a woman. 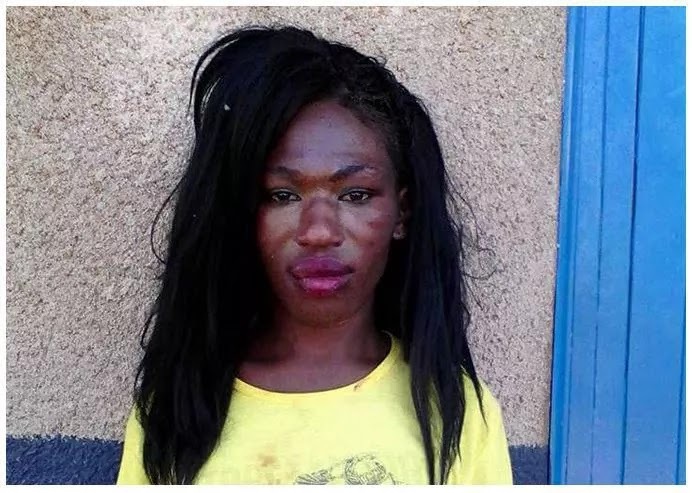 Eyewitnesses told Citizen Digital that Grace had worn a wig and make up and walked seductively just like a woman while at the bar, apparently fooling patrons into believing he was a woman. Grace had to run to the nearest police station for safety when a mob gathered to lynch him. She was later arrested but released because the complainant did not come forward to record a statement at the station.